A great man once said, "a life changing 7 letter word should always come after a 6 letter word"... The 7 letter word is success. Guess the word before it. The riddle "What comes before success " is unanswered. 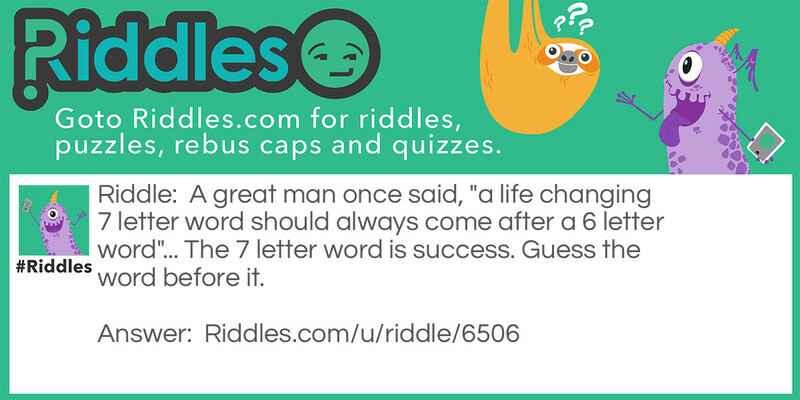 What comes before success Riddle Meme with riddle and answer page link.